The Fort Scott Community College Cosmetology program offers training in modern facilities utilizing some of the finest salon equipment available. Operating under the close supervision of the Kansas State Board of Cosmetology, the program has established a reputation of excellence in instruction and quality of graduates. With convenient locations in Fort Scott and Pittsburg, obtaining an education in the fast-paced, creative field of cosmetology couldn’t be easier. ​FSCC uses the internationally-acclaimed Pivot Point curriculum. Pivot Point uses a system of interactive learning materials and workbooks to teach the latest methods in hair care and styling. FSCC also offers a manicuring certificate; learn more. The cosmetology program consists of 1,500 hours of instruction and work, customarily spread over a 9- to 12-month period. Classes, which begin in January and July, meet eight hours per day, five days per week. The completion of this program of work will qualify the individual to take the state licensure examination. Students may elect to continue their education beyond the initial one-year professional component. By adding general education courses, students can earn a two-year associate of applied science degree, which allows students to build additional skills important to successful employment, management, and/or business ownership. Cosmetology is an interesting and well-paying career that has shown a constant need for people with the necessary training and skills. Men and women in this occupation are professionals who work in pleasant surroundings as stylists, color technicians, manicurists, demonstrators, beauty consultants, salon managers, make-up artists, or as specialists in wigs. Please click here for more information about gainful employment for the cosmetology certificate. 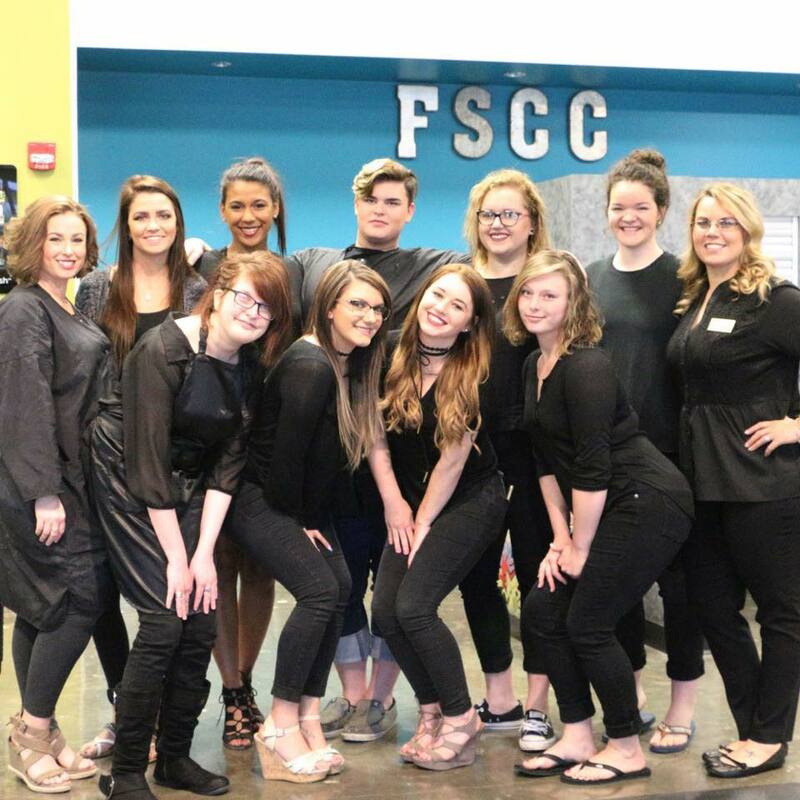 FSCC Cosmetology School offers a variety of services to the community, including hair cuts, hair coloring, manicures, pedicures, and waxing. Call 620-223-2700, ext. 5220 to schedule an appointment in Fort Scott or call 620-231-4497 for an appointment in Pittsburg.